04-14-2016 mrfoxhound Box Text DEFINITIVE MAYHEM, REMASTERED BORDERLANDS THE PREQUEL! 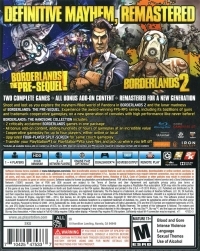 BORDERLANDS 2 TWO COMPLETE GAMES - ALL BONUS ADD-ON CONTENT - REMASTERED FOR A NEW GENERATION Shoot and loot as you explore the mayhem-filled world of Pandora in BORDERLANDS 2 and the lunar madness of BORDERLANDS: THE PRE-SEQUEL. Experience the award-winning FPS-RPG series, including its bazillions of guns and trademark cooperative gameplay, on a new generation of consoles with high performance like never before! 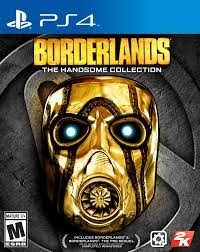 BORDERLANDS: THE HANDSOME COLLECTION includes: - 2 critically acclaimed BORDERLANDS games in one package - All bonus add-on content, adding hundreds of hours of gameplay at an incredible value - Cooperative gameplay for up to four players, either online or local - Upgraded FOUR-PLAYER SPLIT-SCREEN for same couch gameplay -Transfer your Playstation®3 or Playstation®Vita save files and pick up where you left off *Includes all available bonus add-on content as of March 24th, 2015. Internet connection and PSN account required to download certain content. This is a list of VGCollect users who have Borderlands: The Handsome Collection in their Collection. This is a list of VGCollect users who have Borderlands: The Handsome Collection in their Sell List. 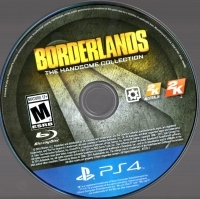 This is a list of VGCollect users who have Borderlands: The Handsome Collection in their Wish List.